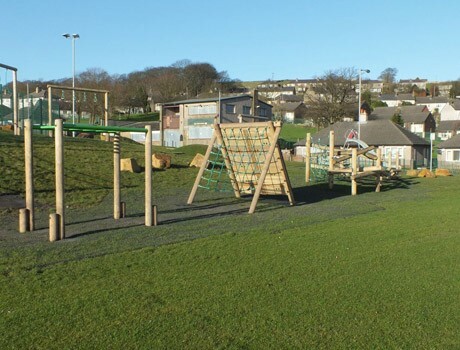 Eagles Nest Playground proved to be a very successful design and build tender for Parks and Recreation Department at Bradford Council. 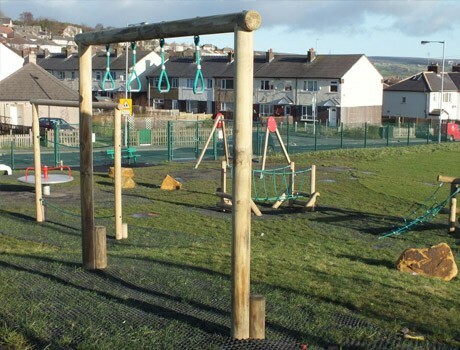 The playground design brief very much centred around a natural playground with timber elements and low levels of colour. 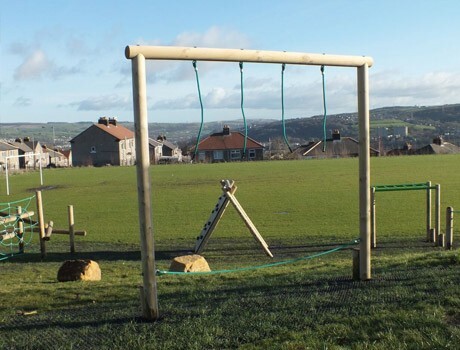 A timber trail was provided included a Senior A Frame Climber, Monkey Bars, Suspension Rope Bridge, parallel bars, and hang tough, with all play items providing agility and high challenges for older children and young adults. 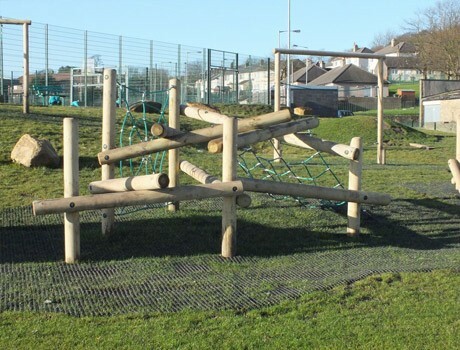 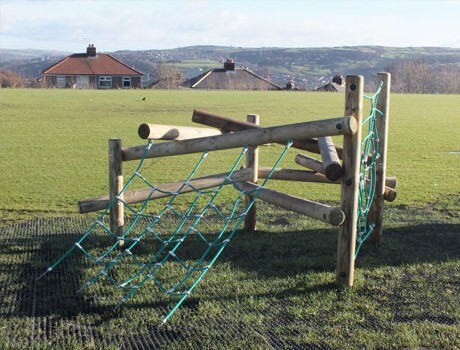 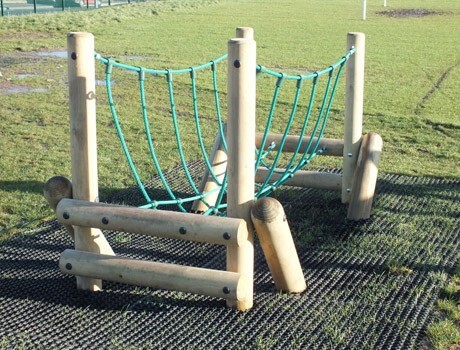 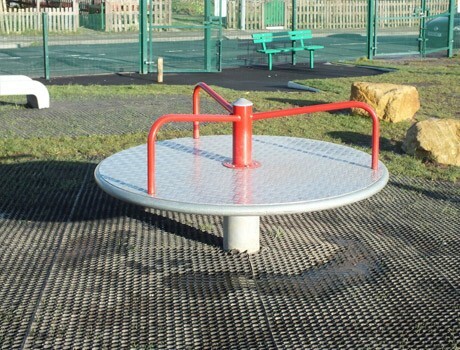 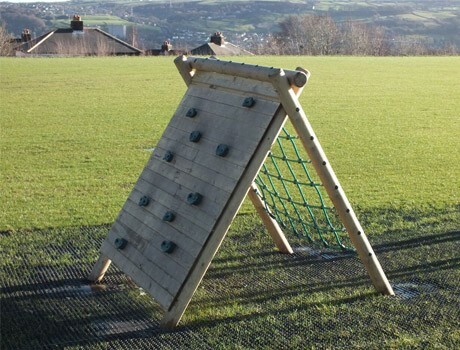 The timber clamber stack is a particularly popular piece of playground equipment which provides a great centre piece visually whilst genuinely providing fabulous play for the users as the children duck and dive, weave and clamber their way through, around, under and over the kit. 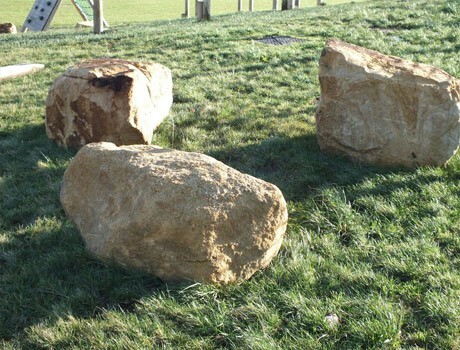 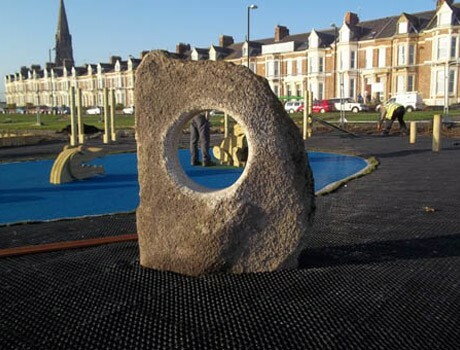 The placing of glacial boulders provides a natural clambering piece of playground equipment whilst dualling as seating for adults or children. 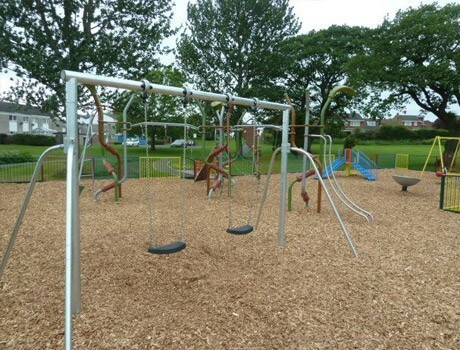 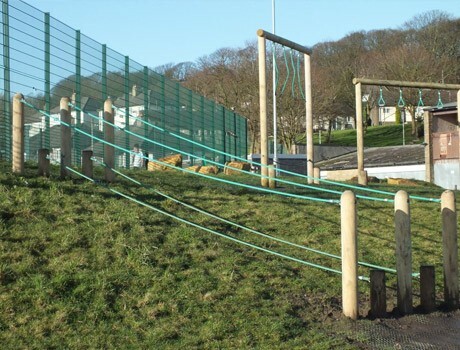 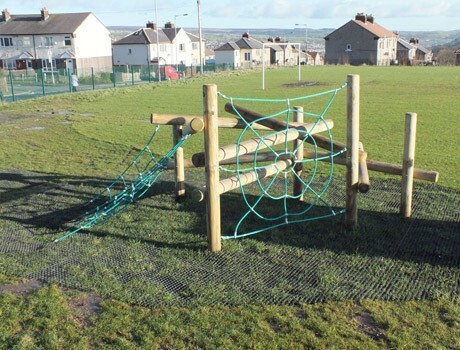 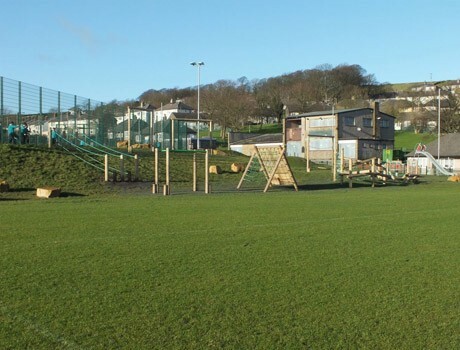 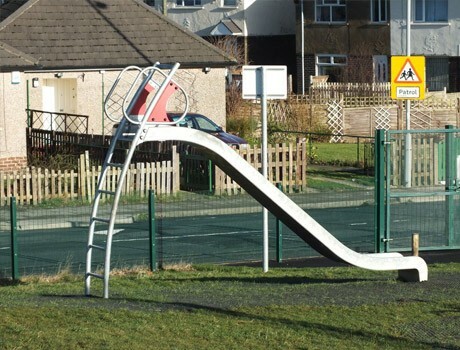 The innovative pull up activity to the existing grassy embankment shows a super amount of initiative is utilising the existing slope and incorporating it into a play item in its own right.